One of the favorite types of projects that we get in is creating a family history book. We work with your style and make the book just how you imagine it. You may bring in a stack of old photos like this client. Bob’s photos were of his father and his aunt. Some photos had Greek writing on the back. We scanned in both the fronts and the backs to make them digital. We laid out the pages for him on our Aspen Kiosks; one photo per 12″ x 12″ page with a charcoal background. He came in and added text to most of the pages. 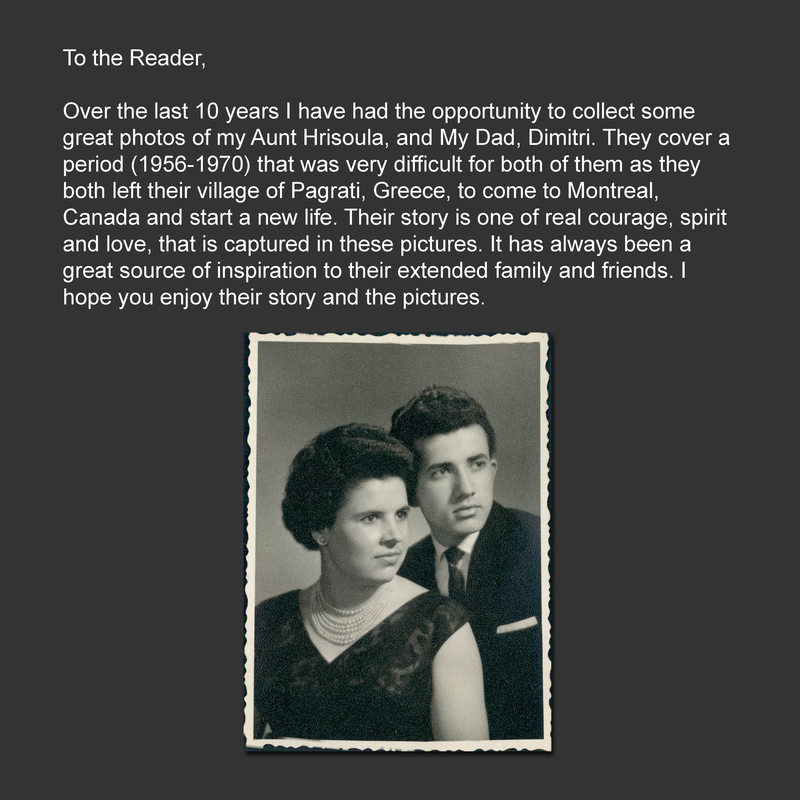 The photos and text (from 1956-1970) tell of their brave move from Greece to Canada to start a new life. What a wonderful way to preserve your heritage for later generations. His book was bound in a bright, Greek blue buckram hardcover. Other clients have a lot more text that tells the story and photos are used to give a visual. Another client Doris emails us the text she has written as she composes it and then brings in a few photos to add to it. Her’s will be laid out on white pages with the images inserted at the end of a section of text. Her book is laid out as a portrait 8.5″ x 11″ hardcover book. The Fausts brought in a lot of material. They brought all the text already typed up and market for where the photos should be inserted. Their book was about 650 pages of 8.5″ x 11″. We also created a DVD version of their entire book so that they can watch it on their television. Lyle is a current client who is finishing up his work on his book. His pages are landscape 17″ x 11″. He has chosen to have it spiral bound so that later generations can continue adding information to the book. He brought in his photos, document and text on the installment plan as he came across it in his collection. So most of the organization of his book occurred in our studio and with several rough draft prints that he took home and reorganized. His is now about 340 pages. 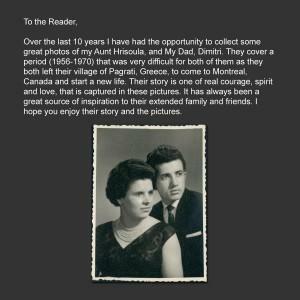 He has included everything from his family’s history (notes, letters, poems, songs, photos old and new, health records, autobiographies, awards, certificates, old cards, newspaper clippings, and much much more! The bottom line is that at Leave A Legacy we work with you and your materials in the way you want it done and make it professional whether it is one copy or thirty.